This engineering coaching service's batches are named after Game of Thrones characters! This engineering coaching service’s batches are named after Game of Thrones characters! Here’s yet another proof that Game of Thrones does in fact influence daily life. 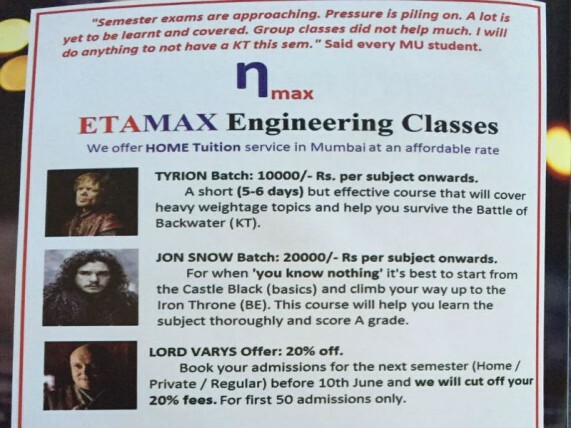 A Mumbai-based home tuition service published a flyer using GOT-based phrases and character names to explain the courses it provides. Perhaps, it would be a good idea to enroll before the batches are ‘killed off’.